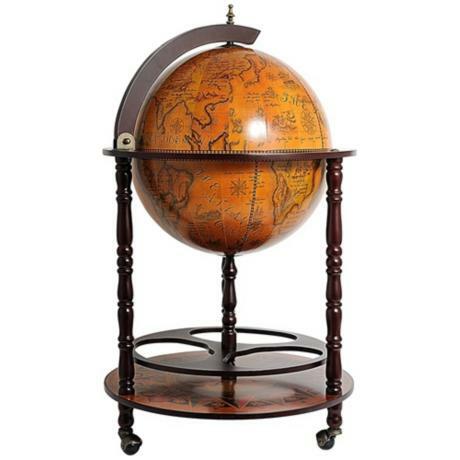 This beautiful wood drink cabinet features an antique globe nautical design. • Nautical style drink cabinet. • Globe is 17 3/4" wide. • Overall dimension are 37" high and 22" wide.